On September 14, 2013 I attended a field trip on Seattle Tunnels organized by the field trip committee of the Association of Environmental and Engineering Geologists 2013 National Meeting in Seattle, Washington. 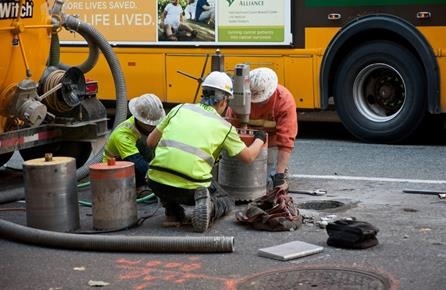 The field trip was led by Red Robinson of Shannon and Wilson, and the Alaska Way Bored Tunnel Project’s Geotechnical Manager, Tony Stirbys of Tutor Perini Inc. – one of the members of the Seattle Tunnel Partners J.V. (STP). 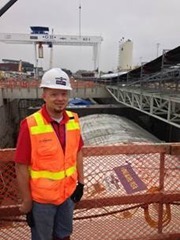 Bertha, the World’s Largest TBM and the overall project are some of the most amazing pieces of engineering I have ever seen, and I felt almost giddy at the chance to see everything up close. It took me some time to put this all together, but I am excited to finally share my experience from the tour with my GeoPrac readers! This article provides some background on the project, specifics on Bertha, how earth pressure balance machines (EPBMs) work, and then gets into the video and photos I took while touring Bertha in her launch pit. If you want, you can jump straight to the photos. 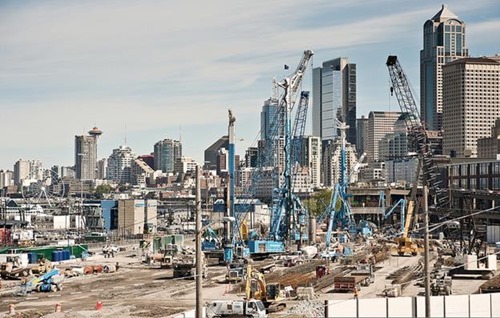 The Alaskan Way Viaduct is a double-decker elevated freeway that runs North-South through downtown Seattle with majestic views of Elliot Bay and the Olympic Mountains. 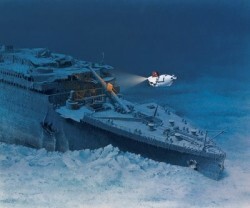 In 2001 it was heavily damaged in a magnitude 6.8 earthquake. 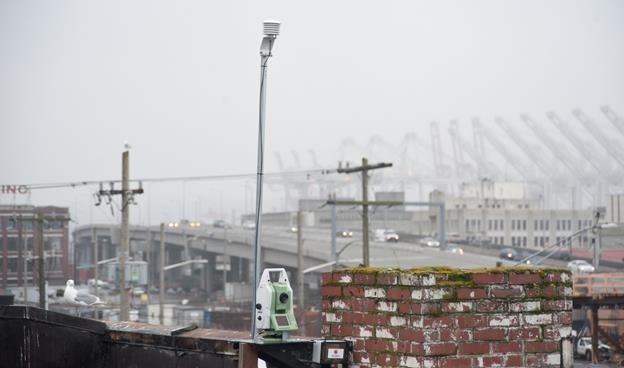 Sections of the viaduct settled several inches during the quake and experts speculate that if the quake had lasted much longer, the entire structure would have come down. Thus a challenging, sensitive and highly political process was initiated to determine how to replace the viaduct. Fast forward a few years and skip over some interesting environmental, engineering, sociological and political debates (read more about the project’s history) and the decision was made that the waterfront section of the viaduct will be replaced by the world’s largest bored tunnel! There are so many amazing things about this project, the best way to cover as much ground a possible without going overboard is to put them in list format. Here are a fraction of the staggering numbers from the tunneling project. Fate after tunneling is uncertain. Could be reused by STP, or salvaged for parts. 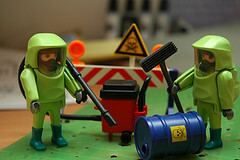 Any contaminated muck will be treated and safely disposed of. The viaduct will be closed for roughly one to two weeks while the TBM tunnels under it. 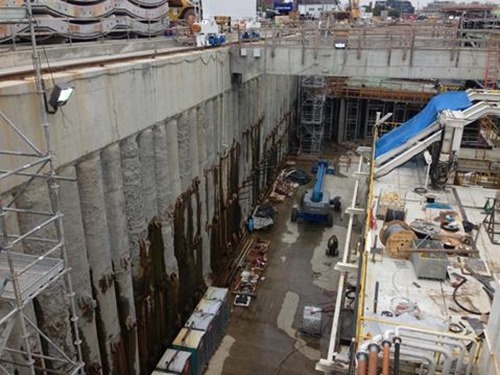 Micropile walls were installed at an angle beneath the viaduct foundations to protect the existing structure foundations while Bertha tunnels beneath it (see below). 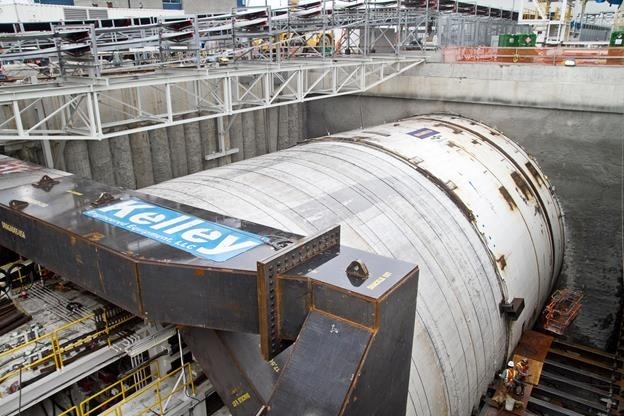 Bertha needed a huge space to get started from: approximately 80 feet wide by 80 feet deep by 400 feet long. 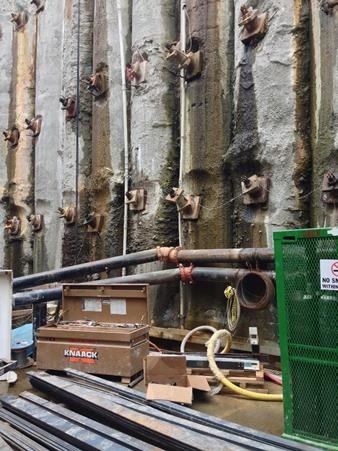 In order to create that space, Malcolm Drilling installed 5-foot diameter secant piles that were each 140 feet deep (see earlier GeoPrac post here). Those piles had to be fully cased as well, through some difficult conditions in fill material. That fill was sluiced into the Bay around the turn of the century as early residents of Seattle tried to flatten out the ground for development. Surprises abound in the fill as well, including old timber piles and remnants of the foundations from the south portion of the viaduct itself. 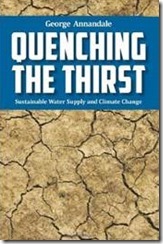 There are also shallow groundwater conditions to deal with as well. The number I have seen for the drilled piles installed is 1,700 but I am guessing that number also includes shafts drilled in a dense configuration to create a series of planned safe havens for the TBM to stop and have teeth replaced, etc. A forest of drill rigs and cranes from Malcom Drilling is constructing the launch pit in this June 2012 photo. Photo – WSDOT Flickr page. 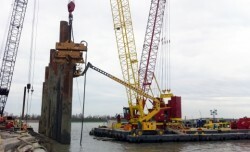 The secant pile walls were stabilized with nearly 750 tieback anchors. The anchors were 125 feet long. There are numerous anchors instrumented with load cells, and a portion of the secant piles have inclinometers installed as well. I’ll discuss the monitoring program next. I was fortunate enough to hear a great presentation on the instrumentation program for the Alaskan Way Viaduct Tunnel at the AEG conference. It was presented by Boris Caro Vargas, General Manager of Soldata Inc., and Justin McCain, Superintendent (Geotechnical/Construction Monitoring Program) for STP. 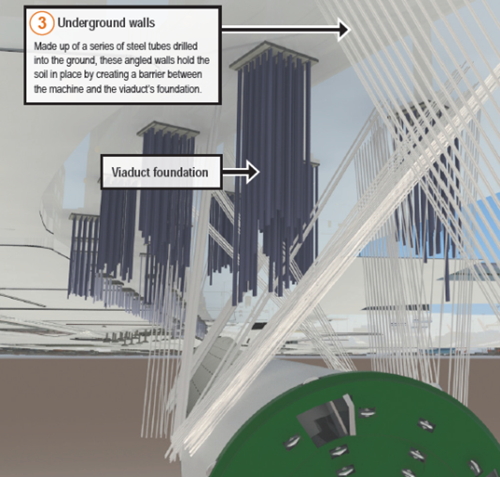 The figure above shows the 200 buildings that are being monitored in the path of the TBM. The team has at least about one year of baseline readings before the tunnel construction started. Another unique approach to the project is the way that satellite interferometry is being used to guard against false claims by property owners outside the zone of the buildings being monitored with more traditional methods. The satellite methods allows the team to detect settlements on the order of 1 cm just by processing sequences of radar remote sensing data over the area. They can correlate the data with the hundreds of survey points they have, and look outside the monitored area to document that no movement is being caused by the tunneling. I’m not necessarily the right person to be explaining earth pressure balance machines (EPBM). But I think to fully appreciate some of the photos from the tour, you need to understand how EPBMs work. I’ll do my best here and borrow a few things from the field trip notes package and other web sources. STP showed a fantastic video of the EPBM used for the Madrid M1 subway project in Spain (a Dragados job) that shows 3D animations of how the TBM works and what the various components are. I have yet to find the video online though. You can think of an EPBM as a submarine travelling through the ground. 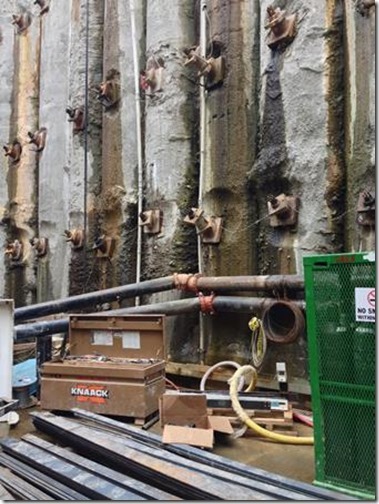 On the Alaska Way Bored Tunnel, Bertha will be as much as 215 feet below the ground surface, and perched groundwater tables will result in hydrostatic pressures of up to 7 bars (14.6 ksf, 101 psi) at the tunnel invert. Bertha must resist these pressures to avoid ground loss and protect the tunnel and workers from incursions of water and ground. 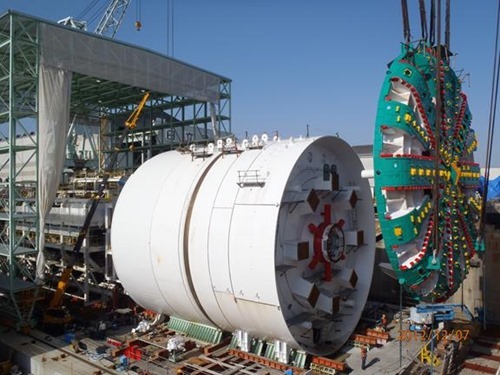 Bertha’s massive cutterhead is designed to tackle the challenging mixed face conditions of the glacial soils it will be tunneling through, including dense sand and silt, hard cohesive clay and till. It can even swallow boulders up to 3 feet in diameter. The news just recently reported that Bertha reached her first safety refuge and STP took the opportunity to change teeth before beginning the next segment which will take the TBM beneath the existing viaduct (and forcing its closure for 1-2 weeks). The set of teeth used to drill through historic fill (some of which was grouted or replaced with columns of lean concrete) were traded out for teeth better suited for the glacial soils that will be encountered in the next segment. Several key concerns for the EPBM designers, geotechnical engineers and the contractor are the abrasiveness of the material (which breaks down the equipment) and stickiness of cohesive soils (which can clog the cutterhead). 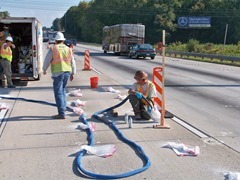 Jets of water, foam, polymer, bentonite and perhaps other additives can be used to condition the soils ahead of the cutterhead. Once the cutterhead chews through the soil, it enters into the pressure chamber behind it. This chamber continues to mix and condition the soil and it is removed by a screw conveyor at the bottom of the chamber. The operators can control the pressure in the chamber and therefore at the face by regulating the rate that the material is removed via the screw auger. This pressure regulating combine with the additives and the control of the thrust and cutter rotation speed allows the operators to maintain face stability and control ground loss. EPBMs consist of a shielded portion and an unshielded portion. At the back of the shielded portion are a series of 48 hydraulic cylinders that give Bertha her 392,000 kN (88,105 kips) of forward thrust. 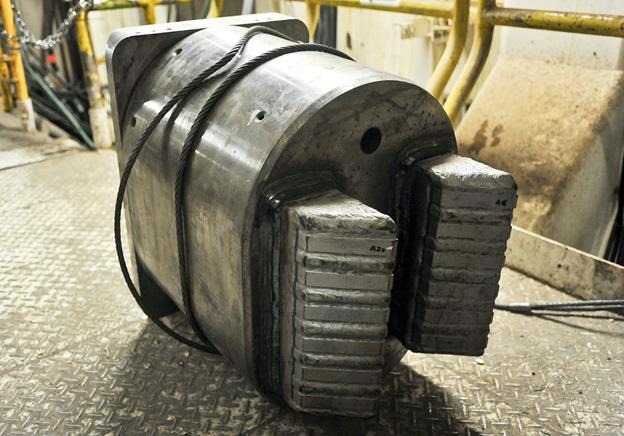 The operator(s) use these hydraulic jacks in segments of 8 to “steer” the TBM along the prescribed alignment. See the video below of the TBM control room for more info on operating the TBM. The reaction force for the start of the tunnel was contributed by a huge steel reaction frame structure. 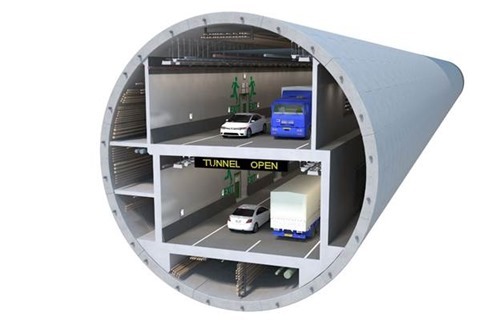 The shielded portion contains approximately 300 feet of equipment, even a kitchen and restrooms, essentially everything needed to support the tunneling. 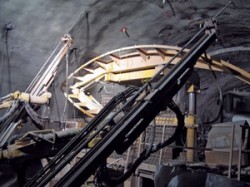 This includes the tunnel lining erector equipment which takes the individual two foot thick precast concrete lining segments and installs them one at a time while the appropriate hydraulic cylinders are retracted. The concrete rings provide the reaction force needed for Bertha to counteract the thrust. 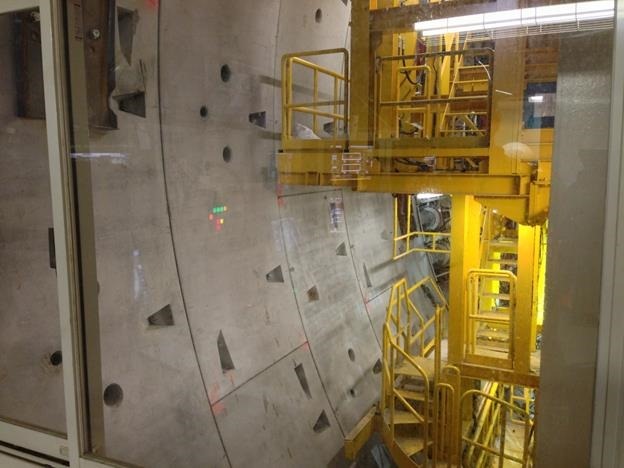 The first few segments of tunnel lining in the AW Bored Tunnel. You can just barely see a couple of the hydraulic cylinders for Bertha’s forward thrust in the background. Photo by Randy Post. I shot this video on the Betha tour inside the TBM control room. Jorge Vazquez, the Tunneling Superintendent for STP gave a description of the various displays and readouts and the controls. 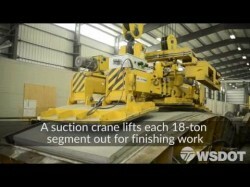 This video was added by WSDOT on September 25. It has a good view of how the hydraulic jacks push off of the concrete ring segments, and also shows the conveyor belts in action. The tour started at the lobby of the Westin Hotel in Seattle, site of the conference. Red and others led the group to the light rail station where he discussed some of the history of tunneling in the Seattle area on our way to the STP job site trailers near the launch pit. There was a great deal of interesting information and discussion facilitated by Red on the history of tunneling in the Seattle, local geology as it pertains to tunneling, and some of the unique challenges. In this article, I clearly chose to focus on Bertha and the SR 99 tunnel, in the interest of brevity. After a great overview of the TBM from STP Tunneling Superintendent, Jorge Vazquez, and an excellent video on the TBM used for Dragados’ Madrid Metro project, they outfitted everyone with loaner PPE and we were off to the launch pit. I think I’ll let the photos tell the rest of the story! I hope you enjoyed the article and the photos. It was a once in a lifetime experience for me! 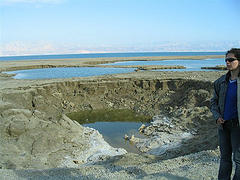 The Photos are hosted on the GeoPrac.net Facebook Page. While you’re there, give us a like! Amazing field trip!! Thanks for putting together this summary – it almost made me feel like I was there. I hope we can provide something just as grand in Scottsdale 2014.